'Tis the season to be jolly so spruce up your dog's wardrobe with a fun and festive Christmas dog collar. 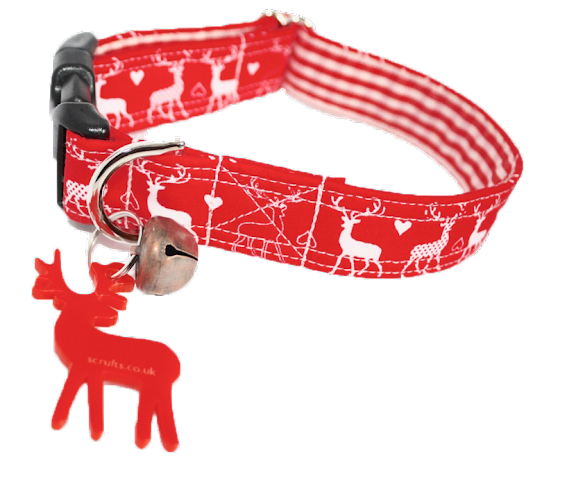 Choose from a range of christmas themed dog collars including ones with reindeers, robins, christmas trees and snowflakes. Some of our Christmas dog collars come with exclusive christmas tags in the shape of a snowflake, reindeer or Christmas tree!